Are you stressed by towing your boat or RV up and down Priest Grade, back and forth to the Central Valley or Bay Area? No room in your driveway for the safekeeping of your boat or RV? Does your Home Owners Association (HOA) prohibit you from storing large vehicles in your driveway? 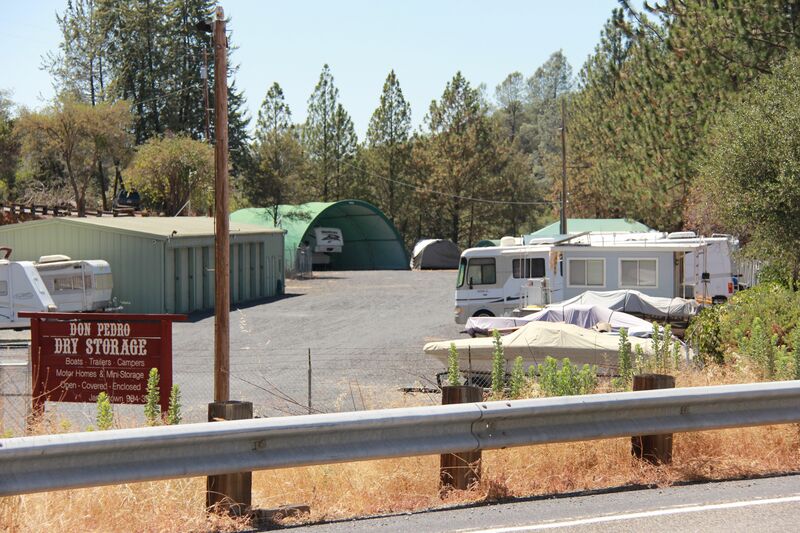 Don Pedro Dry Storage is located on five (5) acres off Jacksonville Road in Jamestown, CA. We are just two (2) miles from Lake Don Pedro's Moccasin Point Marina and Campground. The facility has enclosed, covered and open storage space for vehicles, boats and RV's up to 40 feet in length. We also have self-storage units available to store your gear or household possessions. The facility is fully fenced and secured through the use of area lighting, video cameras and an automated gate. Each customer is assigned a personalized access code for twenty-four (24) hour access, seven (7) days a week.